In 1988 there were 350,000 cases of polio worldwide. So far, this year there have been 13. The disease has gone from a global pandemic to a severe, but local, challenge. The world has come a long way in 30 years. 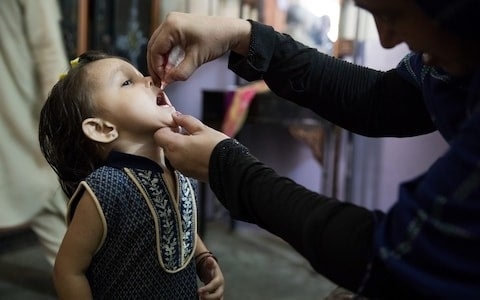 Over that time global coverage of the polio vaccine has increased from 65 per cent to well over 80 per cent, and at least 16 million cases of polio have been prevented. That’s 16 million children who have been spared debilitating paralysis, 16 million children who have been able to go to school, learn, get a job and contribute to society. And 16 million children who have grown up, unaware of the suffering that they might have experienced. At the centre of these efforts is the Global Polio Eradication Initiative(GPEI), which, with a budget of more than $1 billion a year and a presence in 16 countries, has spearheaded the fight against the disease with the polio vaccine. But GPEI’s work goes much further than vaccines. Since the initiative's inception in 1988, many of the 20 million volunteers who have been trained to administer polio vaccines have also delivered other essential vaccinations and health interventions. For example, GPEI-trained health workers have delivered 1.3 billion doses of vitamin A, which have helped save 1.5 million lives and reaped up to $17 billion in economic benefits. Funding from GPEI has also transformed monitoring of disease outbreaks through the Global Polio Eradication Laboratory Network. These 146 laboratories around the world identify and confirm cases of polio but also monitor other life-threatening diseases, such as measles, rubella, and maternal and neonatal tetanus, all major health threats in their own right. Hundreds of World Health Organization and Unicef staff are funded by GPEI to undertake disease surveillance activities, going door to door to find and confirm suspected disease outbreaks and preventing them from spreading further. Such systems helped stop the spread of Ebola in Nigeria in 2014 while the outbreak was raging in Guinea, Liberia and Sierra Leone. However, the GPEI was set up to achieve one goal only - the eradication of polio. As we inch closer to achieving this, the GPEI will begin to scale back its operations and with that comes a significant reduction in funding. The rate of this withdrawal is rapid. GPEI estimates its funding will drop by 50 per cent between 2017 and 2019 alone, and many of those resources are focused in just 16 countries that receive over 90 per cent of GPEI support. Take Ethiopia for example, a low-income country where more than a quarter of children do not receive basic vaccinations. Ethiopia will lose 88 per cent of its polio-related funding between 2016 and 2019; the stark reduction from $23.5million to $4.6million between 2017-18 is already being felt. Even with expected increases in government funding, a $12 million gap exists after 2019 – putting critical elements of childhood vaccination programmes against polio and other childhood killers like rotavirus and pneumonia at risk. Many of the countries that will lose polio funding are also set to lose funding from Gavi, the Vaccine Alliance - an organisation that helps low-income countries purchase life-saving vaccines. Sudan, which has one of the highest immunisation rates in Africa, currently only funds nine per cent of its immunisation programme. Under its current arrangement with Gavi, it will have to increase its share of vaccine costs from $3.1 million to $17.2 million in 2022 at the same time as losing 70 per cent of its funding from the GPEI. This double financial hit could put their high vaccination rate in jeopardy. Sharp funding reductions in short timeframes can have catastrophic impacts. Many of the 16 countries that are losing funding now are struggling to pay for interventions and surveillance systems previously funded by GPEI and Gavi and it won’t be long until some essential health programmes have to be scaled back or terminated altogether. These include essential surveillance activities, ability to respond to disease outbreaks, and any additional immunisation campaigns. I strongly believe that governments should fund health from their own coffers – overseas aid can’t and shouldn’t last forever. However, it is unrealistic to expect governments to magic up millions at short notice. Leadership and continued support from GPEI and donors is needed to help countries manage these changes in a gradual and sustainable way. In another 30 years, I hope we can look back and celebrate the eradication of polio and the legacy of the global polio programme. Right now, I’m scared that we’re jeopardising this legacy with poor planning and coordination, and a narrow focus on eradication. The GPEI has helped prevent millions of cases of polio and other infectious diseases. But millions of lives could be at risk if we don’t plan for what happens once we reach the end goal and when the GPEI ceases to exist. It is is the time for the GPEI, donors, and country governments to work together and map out how essential programmes previously funded by the GPEI will be financed in the future, only by doing this can we ensure polio’s lasting legacy. Our monthly newsletter is available to download. Click on the image of your preferred language. Read the complete newsletter in English here. For a French version, you can click on the image or here. North Waziristan is a mountainous region of northwest Pakistan, bordering Afghanistan. Due to large displacements because of military operations, immunisation and health systems have been greatly disrupted. According to a Rapid Coverage Assessment (RCA) conducted in September, 2017, only 10 % children were immunized in the selected basic health units (BHUs) catchment area. In the assessment no pregnant women were found to have had their maternal tetanus for pregnant women vaccine. The survey found the main reasons for not immunizing children were lack of parents’ knowledge on the whereabouts of vaccination center (55%), vaccination centers being too far away (15%), and non-availability of vaccinator at the center (30%). People in the catchment area were returning from residential camps where there were no arrangements for immunizations to be delivered. In North Waziristan more widely, low literacy rate especially among women, their lack of empowerment and inadequate involvement in decision making, early marriages, high fertility rates with lack of birth spacing, myths, poor access to health care facilities and non-deployment of vaccinators on part of Government, were enormous barriers to immunization. KAMORE, a development welfare organization, with assistance of UNOCHA/Pakistan Humanitarian Pooled Fund (PHPF) has been working to revitalize primary healthcare services in the areas – primarily in three health facilities (Nitassy, Shertalah & Hassain Khel). KAMORE has established vaccination centers, which undertake both static and outreach vaccinations. They also hired EPI technicians, and male and female social mobilizers, who work with other local community stakeholders, to increase the number of people available in the local area to deliver vaccines and raise awareness of the importance of getting vaccinated. KAMORE as part of their immunisation services were able to provide baby kits and medicines (without any cost) when they delivered immunisation services – providing an integrated package of care to families. One of the biggest achievement of this project so far is the formation of Male and Female Local Quality Team Health (LQT-Health) in BHUs catchment area for the support of static and outreach EPI Program in the tribal community. This has helped increase immunization services in areas health services typically don’t reach. KAMORE have also been working to build the capacity and knowledge of existing health workers to ensure immunization is part of primary healthcare services when they are being provided. KAMORE Team identified 30 Traditional Birth Attendents (TBAs) from the catchment area of health facilities to undertake refresher training. Due to inaccessibility of health facilities and local customs, home births supervised by TBAs is very common, making them a critical point person in the local community for health. Refresher training was used to make sure the TBAs unlearned harmful practices and now had increased knowledgeable on safe health practices. The TBAs were equipped to give advice on immunization to expectant mothers, and about the importance of immunisatin of babies at birth. They were also provided with basic safe birthing midwifery kits – another key improvement to primary healthcare services in this remote community. The TBAs use their contact points with expectant and post-partnum mothers to to conduct awareness sessions on the importance of immunization and maintain records for referral and tracking missed individuals. The TBAs have a responsibility to initiate routine immunization at birth, as well as encouraging pregnant women to get their maternal tetanus vaccine. According to a RCA in March 2018 data, now in the target areas of Netasey, Sheratala and Hassain Khel where KAMORE has been working, BCG coverage is 89%, with 98% of children receiving at least one does of the polio vaccine. Likewise, Pentavalent (the five in one vaccine which protects against diphtheria, tetanus, pertussis, hepatitis B, and haemophilus influenzae type b) coverage is 98%. 75% of pregnant women were also now vaccinated against maternal tetanus. Now the number of on-track children with vaccination cards and fully immunized children with vaccination cards has also increased. This would not have been possible without KAMORE and dedicated efforts to improve immunization as part of their primary healthcare initiative. KAMORE Development Welfare Organization-KDWO was registered in Peshawar in 2001 and in FATA in 2013. The organization is based in Peshawar with Field Offices in Kurram Agency, Mohmand Agency, Khyber Agency, Bajaur Agency, North Waziristan Agency and FR-Peshawar. Since 2002 KDWO is working on PHC, MNCH, Static and Outreach Vaccination, Social Mobilization and Capacity Building of EPI Technicians. Driving through the hustle and bustle of Shinyanga city, we arrived in Mwime village, Kahama district, to meet with the health facility in-charge at the local dispensary. Mwime Dispensary is one of 50 health facilities in Tanzania that is using the innovative mVacciNation mobile health application deployed by Amref Health Africa in Geita and Shinyanga regions. A handy smartphone app, mVacciNation allows healthcare workers to not only capture individual records for each child they vaccinate, but also record vaccine temperatures and stock levels. This data synchronises with the cloud in real time and sends alert messages to parents or caregivers to remind them about the next vaccination visit, and to district immunisation officers in case a technician is needed for cold chain maintenance, or more vaccines to avoid stock-out. The aim is to make it as easy as possible to overcome barriers to immunisation in parts of the country that might otherwise be out-of-reach or have a weak health system, thereby reducing the number of child deaths caused by vaccine-preventable diseases. 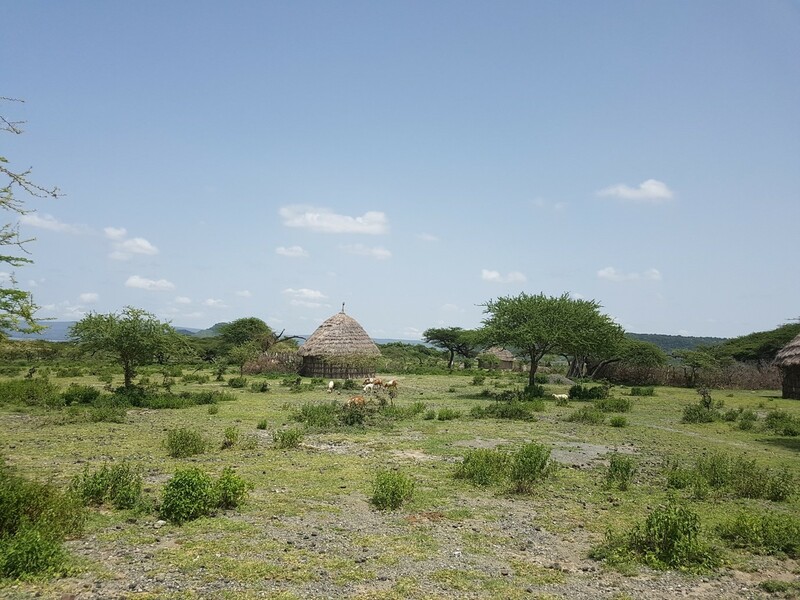 Mwime Dispensary plays a vital role in the community, offering health services to four villages in its catchment area: Mwime, Ilindi, Chapulwa and Mwendakulima. Women and children often visit Mwime Dispensary for vaccinations, among other maternal and child health services, and share their experiences with health workers. The beauty of mVacciNation is that it creates a link between the community and the health facility through the SMS reminder texts. These texts have led to an increase in visits for vaccinations, and have also enhanced male involvement in health-seeking behaviour for children. One woman from a neighbouring village shared: “My husband used to not allow me to go to the health facility for healthcare services. However, when we started to receive the reminder messages and the sensitisation, he became more supportive and he accompanies me and the child to the health centre for the vaccination appointment”. We met Sundi Mpandachalo, the Clinical Officer and the health facility in-charge, and Phelician Mkola, the Kahama District Immunisation Officer (DIO) who shared their experiences with mVacciNation and the changes it has brought about in their work. Sundi has found the mVacciNation platform to be user-friendly, especially to log in stock and temperature levels. She also shared that the SMS reminder feature is unique to mVacciNation: “Healthcare workers receive an SMS reminder to log in the stock and temperature levels, while caregivers/parents receive an SMS reminder about the vaccination visit three days before the due date. This gives them enough time to prioritise and plan for their visit,” she says. Mwime experiences power outages often so Sundi is very happy that the system can be used offline and by any mobile subscriber. “Even if the electricity comes and goes or the network signal is bad, my work continues!” she said. The mVacciNation innovation has the capacity to significantly impact the speed and flow of communication regarding the availability and viability of vaccine stocks. Phelician shared that mVacciNation has made the supply chain process a lot more efficient as the DIOs receive updates and alerts in real time. “User-friendly reports are also generated through the system which help both the DIOs and health workers save time,” he said. Amref has worked in close partnership with GSK, Vodafone, Mezzanine and the Tanzanian Ministry of Health, Community Development, Gender, Elderly and Children (MoHCDEC) for mVacciNation. Since the platform was deployed in 2016, 100 healthcare workers from 50 facilities in Tanzania have been trained to use it, resulting in the registration of 95,068 children and caregivers, 315,660 immunisations per antigen, 17,636 stock updates captured, 22,465 temperature updates submitted, and SMS reminders sent to 13,813 registered caregivers. Amref hopes to roll out mVacciNation in more health facilities and is exploring integration with Vaccine Information Management System (VIMS), the national-level online system which captures stock and coverage data from the district to the national level, and other technology platforms to create a single, multi-sided, multi-purpose platform in Tanzania. Through the mVacciNation platform, Amref hopes to play its part in promoting the right to health for all women and children in a cost-effective and innovative manner. L – R: Phelician Mkola (District Immunisation Officer, Kahama), Sundi Mpandachalo (Health Facility In-Charge, Mwime Dispensary) and Bahati Shaame (Project Officer, Amref Health Africa Tanzania) reviewing the mVacciNation platform reports at a dispensary in Shinyanga Region. Credit: Amref Health Africa UK / Aleena Khan. Photo réalisée lors de la phase d’entretien avec les parents avant la séance de vaccination. 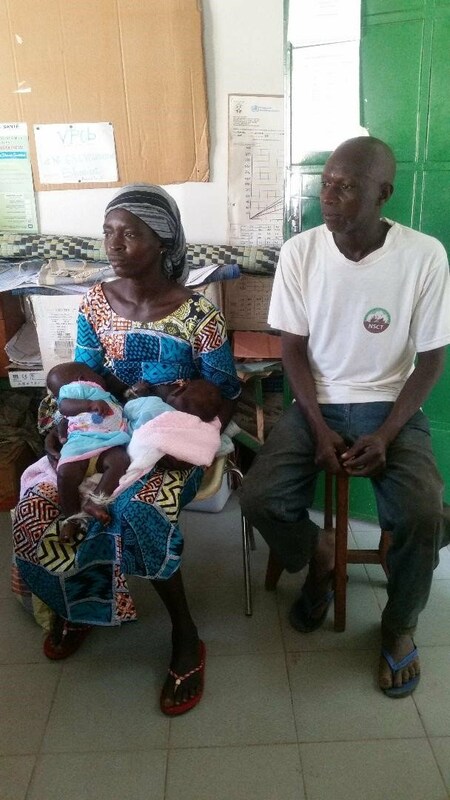 J’ai l’aimable plaisir de partager avec vous l’histoire de la tante d'un des Agents de Santé Communautaires (ASC) du District de l’Est-Mono: KALAM Nama, âgée de 35 ans, est aujourd’hui une mère de 4 enfants. Victime du lévirat (une pratique traditionnelle de mariage où la femme veuve se remarie avec le petit frère du mari défunt), Elle est aujourd’hui ménagère et aide sonn ouveau mari au champ. Elle vit à Landa dans le District sanitaire de l’Est-Mono. KALAM Nama vient d’accoucher à domicile deux jumeaux (une fille et un garçon) au mois de novembre 2017. Agés de 5 mois aujourd’hui, les deux jumeaux viennent d’entamer leur vaccination de routine à la date du 13 mars 2018. En fait, cette situation désagréable s’explique par le refus catégorique au départ du mari de faire vacciner les jumeaux sous prétexte que ceux-ci sont placés sous la protection d’un fétiche. Aujourd’hui, les deux parents des jumeaux sont revenus à de meilleurs sentiments et ont accepté avec grand plaisir de faire vacciner leurs enfants. Cette motivation est expliquée par le passage dans la localité de l’ONG Nouvelle Elite, membre de la Plateforme GAVI-OSC Togo. En effet,C’est à l’occasion de la recherche des enfants non vaccinés lors de la campagne nationale intégrée contre la rougeole, la supplémentation en vitamine A et le déparasitage à l’Abendazole que ces jumeaux ont été retrouvés par l’ONG Nouvelle Elite. Pendant trois semaines, les échanges et discussions entre les parents des jumeaux et l’ONG Nouvelle Elite sur l’importance des vaccins et les risques en couru à ne pas faire vacciner les enfants ont permis que les parents changent des décisions en s’engagent à présenter leurs enfants pour commencer la vaccination de routine. Voilà l’événement qui a décrypté la situation chez les parents des jumeaux et leurs pairs. Les parents ont très bien compris l’importance de la vaccination. Ils ont aussi compris que la vaccination est un droit. Tout ceci fait d’eux aujourd’hui les défenseurs des droits des femmes et des enfants en matière de vaccination dans leur localité à travers les termes suivants : « la vaccination sauve des vies humaine. Alors, ne tardons pas à sefaire vacciner pendant que nous sommes enceinte et à faire vacciner nos enfants dès leur naissance». Home Based Records (HBR) are an important data collection and monitoring tool used by parents, health workers, and health administrators to know which immunizations a child has received to-date along with other health history. JSI’s HBR project (funded by the Bill & Melinda Gates Foundation) [KK1] is currently testing ways to improve availability and use in 4 countries along with looking at the process of redesigning HBRs. 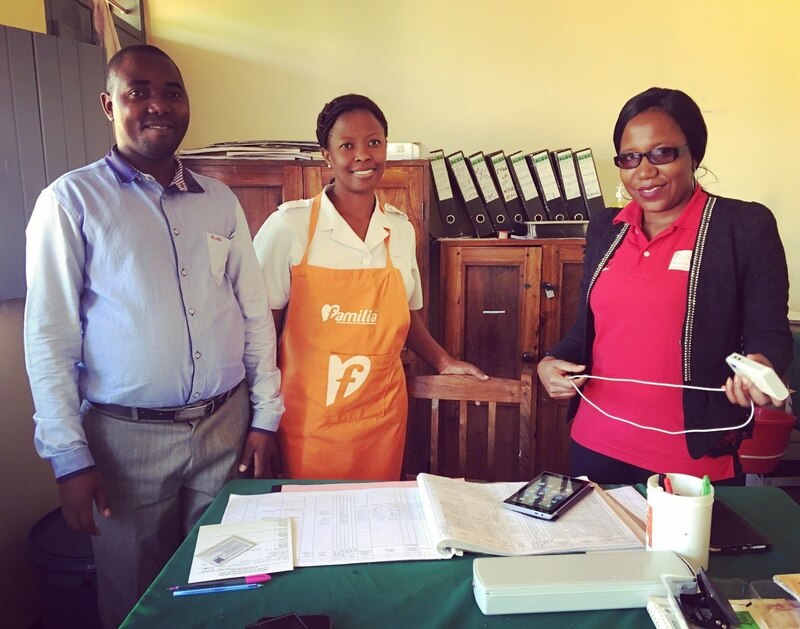 In Zimbabwe, the project is working closing with the Ministry of Health and Child Care (MOHCC) to promote the use of HBRs (known locally as Child Health Cards) to improve timely immunization and tracking in 10 health facilities in Manicaland Province. We also collaborated with the USAID-funded Maternal and Child Health Integrated Program (MCHIP) to support the Ministry of Health and Child Care to introduce My Village My Home [KK2] (MVMH), a tool which MCHIP developed to provide a visual depiction of the immunization status of all infants born in a village. Along with working closely with vaccinators/health workers, we also have focused on the role of Village Health Workers (VHW) and village heads in ensuring that all children in their communities are up to date on immunizations. During a recent supportive supervision visit, I was able to meet Chamwaita Musaneya, who is from a remote communal area in Chipinge district, Zimbabwe. She was selected by the community to spearhead health promotion and disease prevention activities at the grassroots level and is the link between the community and the formal health system. She serves 150 households and her duties include educating the community on the importance of getting children immunized, personal hygiene, water and sanitation, HIV/AIDS, malaria diagnosis, treatment, and referral, amongst others. Chamwaita counsels parents on the importance of the Child Health Card as a primary proof of record and history of which vaccines a child has received. 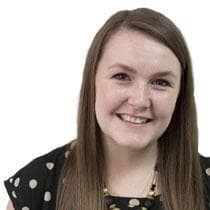 She also has the responsibility of tracking all 65 children under five years of age in her catchment area to make sure all of their vaccinations are up to date and also to refer defaulters (children who have received at least one vaccine but have not returned for the additional vaccines). Although she has been a VHW for the past 13 years, it was only after an orientation on the importance of the Child Health Card and the MVMH tool for community tracking of immunization status that Chamwaita realized that many children were not up to date and that there were children she was not even aware of. At the end of every month, Chamwaita updates her register and the MVMH tool, adding new births, transfers into the community and transfers out, and specifying reasons for children’s absence (e.g. travel or death of the child). She then discusses with the Village Head if there are any defaulters refusing to get their children vaccinated. If caregivers remain adamant not to vaccinate their children, they are then consulted by the Village Head. This close partnership with the Village Head has made Chamwaita’s job easier, as it had been difficult for her on her own to convince people to get their children vaccinated. The Village Head has a lot of authority bestowed on him by the government, and this gives him power to enforce rules and regulations. After entering information on the MHMV tool, Chamwaita then takes her register to the health facility, Mutema Clinic, where she has an opportunity (during scheduled monthly meetings) to compare information in her register with the MHMV tool and the health facility register. The information has to match. 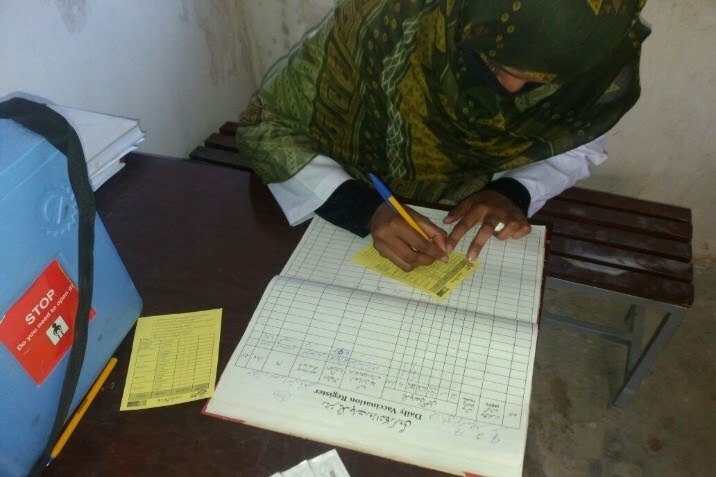 If the health facility register shows more children or some children who received additional immunizations, Chamwaita then updates her register and the MHMV tool when she gets home. Sometimes the health facility register needs to be updated as well, based on information gained by tracking Child Health Cards. “I might also have seen Child Health Cards for children from my village vaccinated somewhere else but [who] are not in the [health facility] register. I inform the Nurse so that she also updates records in the facility register,” explains Musaneya. The monthly register comparison allows for all of the important immunization tracking tools to be harmonized and for all health personnel to have the most up-to-date data. To help ensure successful vaccination services and tracking with the community, all children in the village have to be in possession of well documented Child Health Cards which are well kept and legible. In Chamwaita’s village, all of the children below 5 years now have Child Health Cards which she can regularly cross-check to ensure that there are no missing bricks on the My Home My Village tool resulting in a “weak house/community”. There is no hospital for vaccination and nearest medical facility is about 3 hours walk from my house. During my first visit to vaccinate my first daughter, the hospital faculty never told me anything about the side effects and the reason why vaccination is important for children, they just told me about the next visit date. At the very beginning, I used to spend my free time in making handy craft, but now I don’t have much time for such activities I am always busy with household responsibilities, in our area most of the work burden is on mothers and most of the time my husband is out of home”. Farzana’s experience is not unusual. In many urban slum areas, often the poorest communities, many of the same problems exist; a lack of accessible health care facilities, high costs to travel to health centers outside the local area, and lack of awareness of immunisation services and benefits of getting vaccinated - often due to a lack of an education system, Even though vaccination has been proved to prevent childhood diseases and save millions of lives every year, there are common misconceptions about the side effects of immunisation and about the protection vaccines can provide against disease. Friends Foundation is a member of Pakistan CSOs Coalition for Health & Immunisation (PCCHI). The Friends Foundation team visited Farzana in her house, as part of their awareness raising campaign targeting mothers on the importance of immunizing children. “This session made me realize the importance of vaccination for children to protect them from different diseases by timely vaccination” said Farzana. After the session Farzana felt empowered to contact the Friends Foundation team and ask many questions about vaccination. From this conversation, Farzana understood more clearly the value of vaccination and took two of her children to the Friends Foundation vaccination camp to be immunised. The Friends Foundation is just one example of the critical role CSO’s play in the local community to ensure children get the vaccines they need. The Friends Foundation regularly runs awareness sessions for the purpose of strengthening community members knowledge on the immunisation schedule and vaccines which should be available to all children. They work to mobilise community leaders about the value of immunizing children and ask them to share this information with their communities. Social mobilizers in the local community use megaphone’s to announce when vaccination camps will run and build on their relationships with local religious leaders to share the news through their networks too. There are a number of other community initiatives that have been critical to reaching unimmunized children in Farzana’s local community. Social mobilisers also go door to door to visit households to understand why parents are not getting their children immunized – they record the findings and track whether children are being immunized at the next immunisation camp. They also use print media to highlight immunisation activities in the local community. Such initiatives reemphasizes the importance of social mobilization and one-to-one communication with parents to ensure the uptake of vaccination. The CSOs have proved to be instrumental in bringing the change in focused communities due to its deep roots and presence in the communities. In 1980, The Police had the best-selling single in the UK, “The Empire Strikes Back” was the top-grossing film and the World Health Organization officially declared that smallpox had been eradicated, thanks to a global vaccination campaign. Smallpox had existed for more than 3,000 years, it could be spread by a cough or a sneeze and was fatal in 30% of cases. An estimated 300 million people died from smallpox during the 20th century. Reflecting on the achievement, then Director-General of the WHO Dr Margaret Chan said “the eradication of smallpox shows that with strong mutual resolve, teamwork and an international spirit of solidarity, ambitious global public health goals can be attained". Thirty-eight years after the eradication of smallpox, humanity is on the verge of eradicating a disease for the second time in history: polio. One in 200 cases of polio results in permanent paralysis and 5-10% of paralysis cases result in death. As recently as the 1950s, polio was one of the most feared diseases in the developed world. Epidemics in the UK were causing up to 7760 cases of paralysis each year and as many as 750 deaths. Children were the worst affected, and increased outbreaks during the summer months led to theories that ice cream caused polio! The world was desperate for an explanation and with no cure, life in an ‘iron lung’ was the best science could offer paralysed children. In 1952, discovery of the first polio vaccine changed the game. Mass vaccination campaigns began, making the leg braces and fear many children had grown up a thing of the past in countries like the UK and United States. But it was not until community organisation Rotary took up the cause, believing that it was possible to eradicate the disease, that the benefits of the vaccine started to be felt in the developing world. In 1988 the Global Polio Eradication Initiative was launched. Since then, the number of wild poliovirus cases has decreased by more than 99%. Just 22 cases were reported last year, in just two neighbouring, conflict-affected countries – Pakistan and Afghanistan. Global efforts to eradicate the disease have now saved more than 16 million people from paralysis. Every year, World Immunisation Week celebrates the lives saved by vaccines. This year, in the weeks leading up to World Immunisation Week, the immunisation community is looking back at the impact that vaccines have had in the fight against some of the world’s deadliest diseases. Every Thursday from now until the 24th of April, these throwback social media moments (follow #TBT) imagine a world without vaccines and the future they make possible. In 2018, pneumonia is the biggest infectious killer of children under five. This preventable disease kills two children every minute, 920,000 in 2015. Vaccination could prevent more than half of all pneumonia deaths in children, 450,000 each year based on current infection rates. As we approach our centenary, Save the Children is calling on governments, parents, civil society and the private sector to come together to save more than 5.3 million lives from pneumonia by 2030. History shows us that vaccines work, and with commitment and cooperation – between the public, partners and leaders – we can, without hyperbole, change the world for good. World Immunisation Week starts on 24 April this year. Follow #VaccinesWork #ProtectedTogether and #TBT for related material and share! Sadaf and Khalil are two of REEDS 52 dedicated frontline health volunteers who are at the heart of efforts to keep every child vaccinated in Union Council 178/7R, Liaqat Pur. 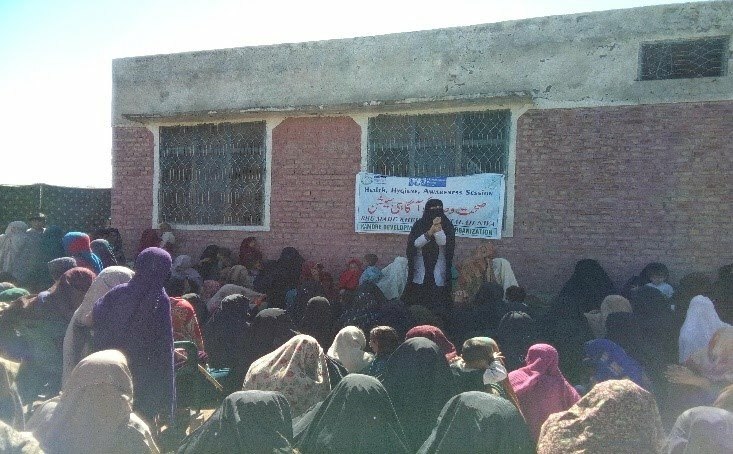 Rural Education and Economic Development Society (REEDS) is an established a network of health volunteers in Liaqat Pur, Pakistan who support the district outreach program in the hardest to reach areas. Sadaf Khalil and Khalil Masih (pictured) are two volunteer vaccinators who work with REEDS to raise community awareness of health services and vaccination campaigns. All REEDS volunteers are working towards the same goal – to ensure every child is vaccinated. Sadaf and Khalil, are parents of three children, and have been health volunteers for the last two years. They fit their work with REEDS around childcare and the usual hustle and bustle of family life. Some of their core duties include talking to other parents to address their concerns about vaccination, identifying children who have not been vaccinated, and to oversee the effective vaccination campaigns. “We enjoy serving our people. And as a parent, it’s our duty to protect all children from diseases”, says Khalil. The Pakistan Polio Eradication Programme has come a long way toward building a future in which polio no longer endangers children, families, and communities. Pakistan is still polio endemic but cases have dropped from 306 in 2014 to just 8 cases in 2017. Unfortunately, campaigns were not reaching all children – with some areas reporting that 35% of children has been missed. Vaccination teams would go door to do, “but without any avail due to parents irresponsible attitude and farm activities.” REEDS local team volunteers and social mobilization have been working in this area to support Immunization awareness activities, and alongside leadership from the Government Health Department, there has been a huge increase in the number of parents taking interest in their vaccines. Sadaf and Khalil emphasize the importance of training and being properly prepared for working in the local community. “Illiterate parents usually have many questions and if they cannot answer even one, the chances that they refuse to vaccinate their children increases,” says Khalil. Before immunisation campaigns begin, REEDS health volunteers, including Sadaf and Khalil, gather at BHU for training and planning sessions – these are organized jointly by the District Health Authorities and REEDS. Volunteers discuss and learn about how to talk to parents about the importance of vaccination, as well as how to successfully respond to the many tough questions or situations they may encounter. After training, the volunteers go to their target villages, and are driven around announcing the upcoming polio and measles campaign. This is done through mosque announcements and, where necessary, going to individual houses and huts on foot, knocking on doors. “We generally don’t face any problems during campaigns as most families are familiar with the importance of vaccination due to our Immunization mobilization campaigns and they want to vaccinate their children. If families are hesitant, we try to encourage them by giving them information about the benefits of the vaccine. If they still reject the vaccine, we ask our supervisors to come and help convince them. I have never met a family who refused the vaccine in the end,” Sadaf says. Largely thanks to the REEDS health volunteer and polio vaccinators who have turned out each month to provide vaccinations door-to-door, as well as in public spaces and at transit points, many more children in Union Council 178-7R are vaccinated. You can learn more about the work which REEDS volunteers undertake in this short video (Click here to see the video).